Builder offering PARADE OF HOMES SPECIAL-$3,800 towards buyers choice. Nick Zvacek Construction Craftsman Reverse! Gorgeous open floorplan! Great Rm w/stone FP w/gas logs, hrdwds! Kit w/center isl w/granite counters, stainless appls, HUGE WI pantry! Dining w/walkout to deck! Master w/trey ceil, shiplap accents, WI shower w/dual heads, free standing tub, WI closet. Main level 2nd BR or office w/vault & full bath! Rec rm w/custom granite wet bar!! Spacious BRs w/WI closets &private bath access! Laundry on both flrs! From 150, take Pryor Rd south to Napa Valley. East on Napa Valley, Right on Stoney Brook Drive. Left on Blackstone. Home on the left. Lees Summit is located in Missouri. Lees Summit, Missouri 64082 has a population of 95,094. The median household income in Lees Summit, Missouri 64082 is $78,186. The median household income for the surrounding county is $46,917 compared to the national median of $53,482. The median age of people living in Lees Summit 64082 is 37.2 years. 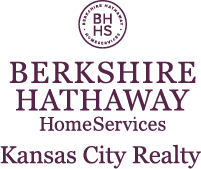 I am interested in 1622 SW Blackstone Place, Lees Summit, MO 64082.